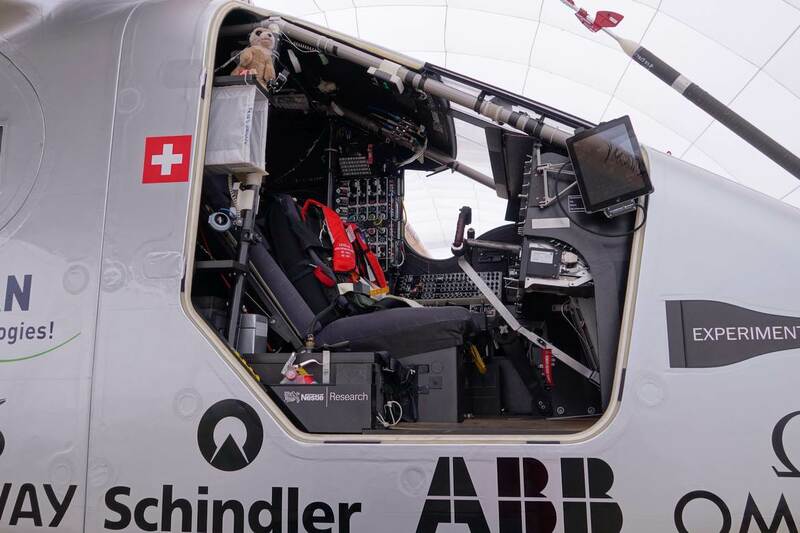 What is a Solar Impulse II? 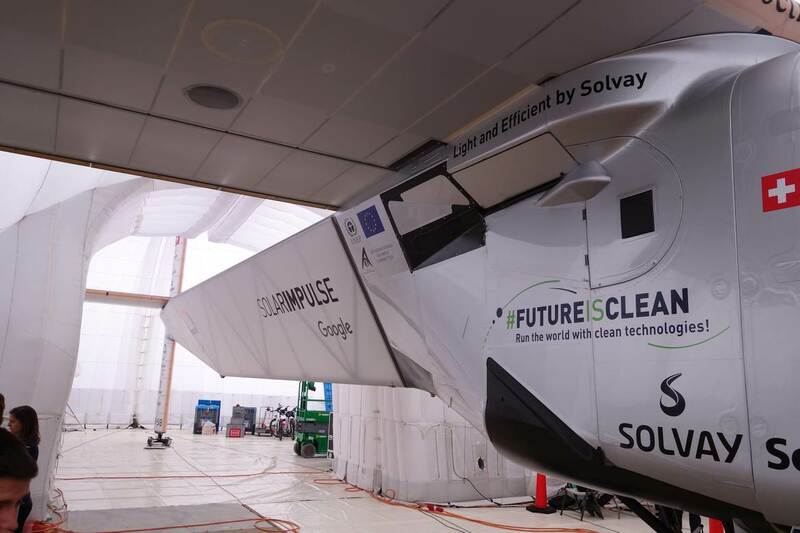 ​It is an experimental, long range, solar powered aircraft that is currently on its round-the-world tour. It has four electric motors and four propellers, and carries enough batteries to be able to fly through the night. It is designed to remain airborne for long periods of time. The project’s motto is “The Future Is Clean”, as it promotes the use of clean, solar energy. 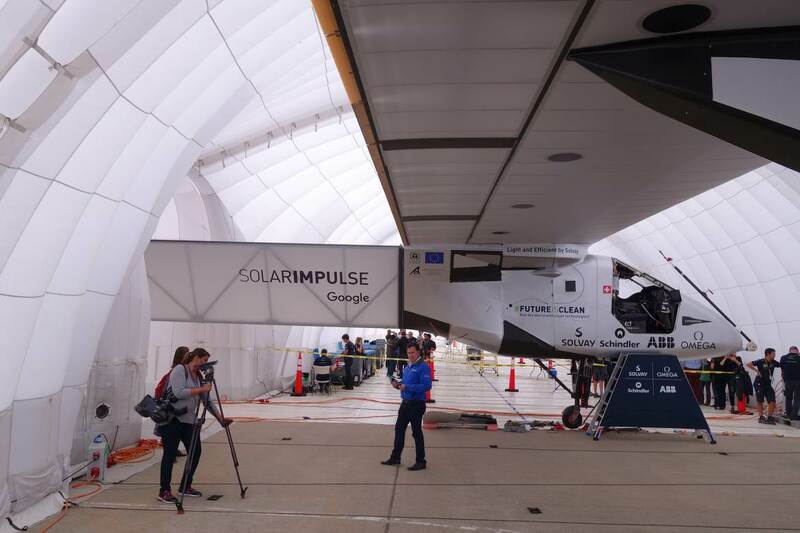 Solar Impulse in its tent on Moffett Field in Mountain View. 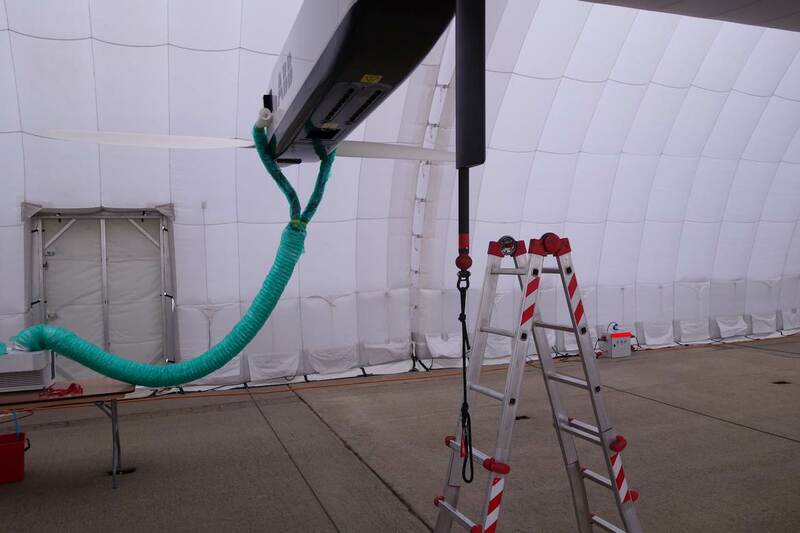 The tent allows charging from Sun rays but stops the wind and dust from attacking the airplane. 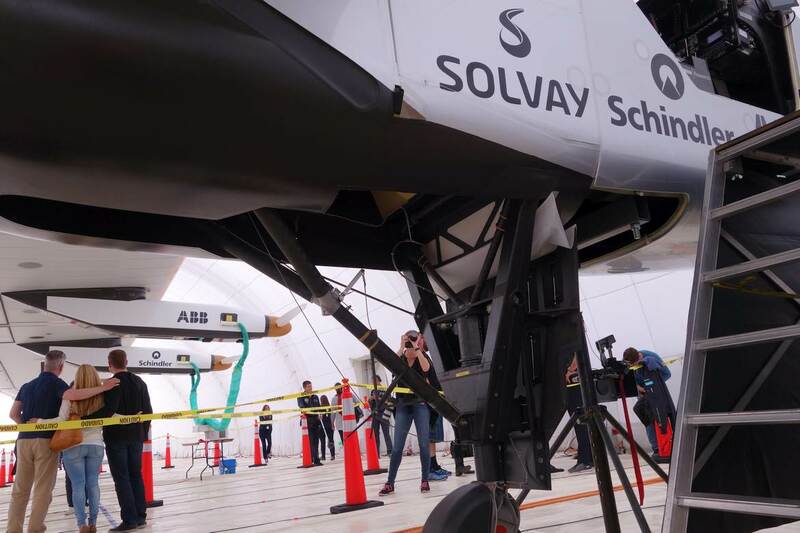 Solar Impulse has a wing span of 63.4 m. This is wider than a Boeing 747, and only slightly smaller than Airbus A380. 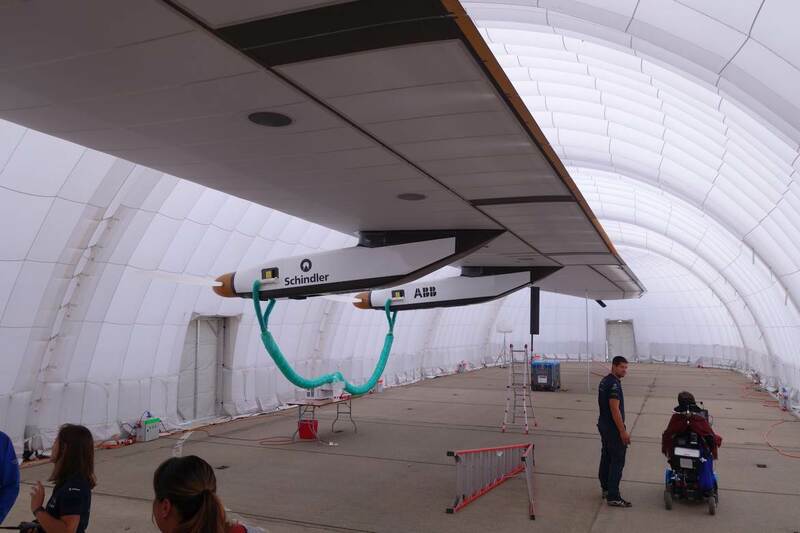 Solar Impulse is almost 22 meters long. Cabin has a recliner seat that also doubles up as a bed and a toilet. The pilot cannot sleep more than 20 minutes at a time to avoid entering deep sleep. Just in case he needs to react quickly to something unexpected. Undercarriage folds in, of course. What is interesting is that the plane only has two wheels. Under the wings it has "wing catchers" designed for the people to catch and help stop the motion. I guess stall speed is pretty minimal then. 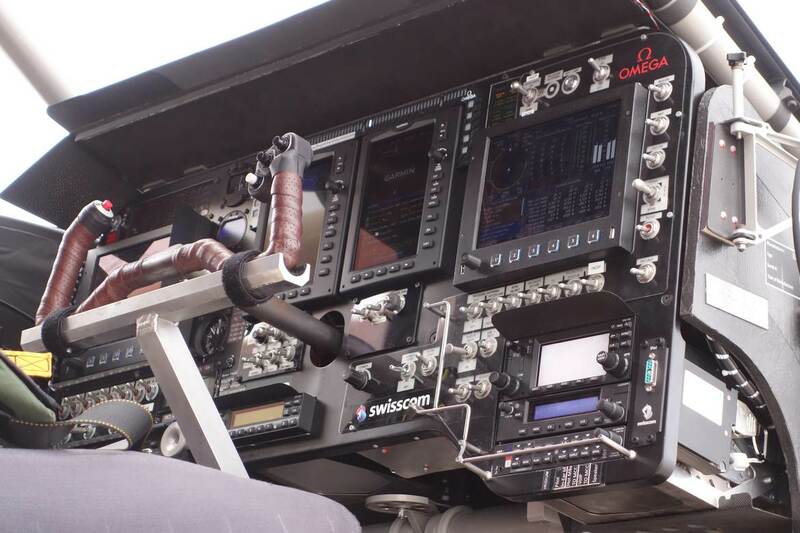 Instrument panel doesn't look much different from other experimental aircraft. Garmin dominates the stack.